Nice! Ohhh, I’ve never completed a raid in Destiny, since I just play with my boyfriend and haven’t really teamed up with anybody else. I am also a little rusty with Destiny, I realized that playing Rise of Iron! But I know what you mean about Trials of Osiris, I have tried them and kiiiind of like them, but I get a little down on myself when they’re too challenging and I feel I’m not good enough to beat them well. I hate dragging a team down! Anyway, that’s so cool you’re completing your grimoire! I love reading about people’s experiences playing matches/games too, the teamwork can be really exciting. Congrats on making it to the Lighthouse! 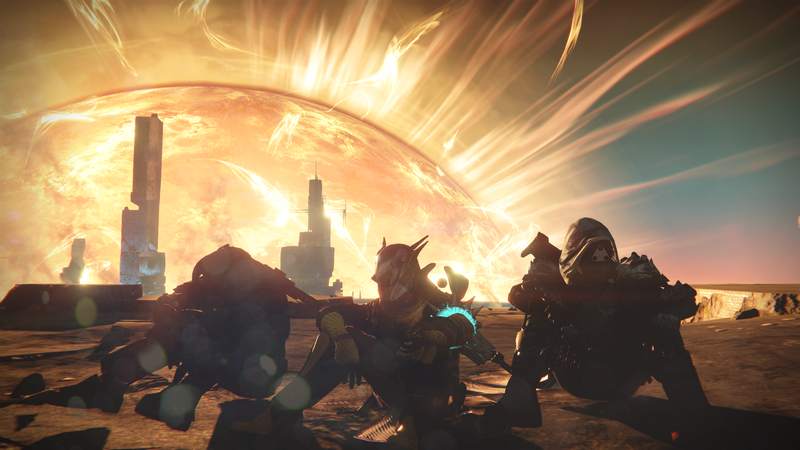 You really should try to find a good raid team, as experiencing those moments with a solid bunch of people is one of the foundational experiences of Destiny. There are some good websites out there for people trying to start raiding, but it’s worth the investment. I was lucky enough to have the right amount of friends who play the game for a raid team, and I find playing and achieving with them to be much more fun than going to an LFG site, but there are good people on there as well. As long as you make it known that you’re new to raiding and are willing to take instructions, you’ll be taking down bosses and getting loot in no time. Heck, I didn’t even do my first raid in the game until July of 2015, only a few months before The Taken King released. As far as the grimoire quest goes, I doubt I’ll achieve it. Except for the final boss of the current raid, who we should get through this weekend, I have all of the PvE cards. The ones that are now my white whales are the crucible kills as the other subclasses and wins in each of the standard game types. The kills I can just farm on alts, but wins are another story. A friend and I have thrown around the idea of trading wins in private matches, and that may be what I have to do. Won’t be able to say that I “earned” them, but in slightly over two years of play I only have 4 out of the 100 that you need for the rank 3 card, nevermind Doubles which I have zero wins for. Game modes like that are often much too sweaty because people are trying to get the cards. For me, someone who tries to do his best in PvP but is nowhere near pro, private matches will be my only real option.